It’s been a long time coming. We’re so excited to share with you our newly redesigned website chat widget. Despite providing an omnichannel support platform (email, SMS, phone, video chat, social, etc. ), web chat continues to be one of the most sought-after channels from both customers and support teams. It was time to give a more modern look to our web chat interface. Let’s take a look at what we did. For teams that don’t use single sign-on but like to know who they are chatting with, we offer a semi-authenticated version, We collect just a few bits of basic information and use that data to match the customer to a record in your system. We have streamlined and simplified the welcome screen that collects basic customer information. We clarified which information is required and which is optional. The entire experience can be private labeled with your own logo and colors (including removing the reference to Relay) so you build customer loyalty. The world is communicating via text-based conversations more and more every day. People are comfortable with how they text their friends on their smartphones and they’re familiar with the look and feel of the conversations. We have modeled our chat interface after a mobile messaging interface that people have come to love. The visitors on your website will always see the avatar of the person or team that is helping them but they don’t have one for themselves. They’ll also see the first name of the person they’re chatting with to create a more personalized experience. We always time stamp the latest message so someone can tell how fresh the conversation is without having too much clutter on the interface. The goal is to keep it as simple and clean as possible while not losing important information. 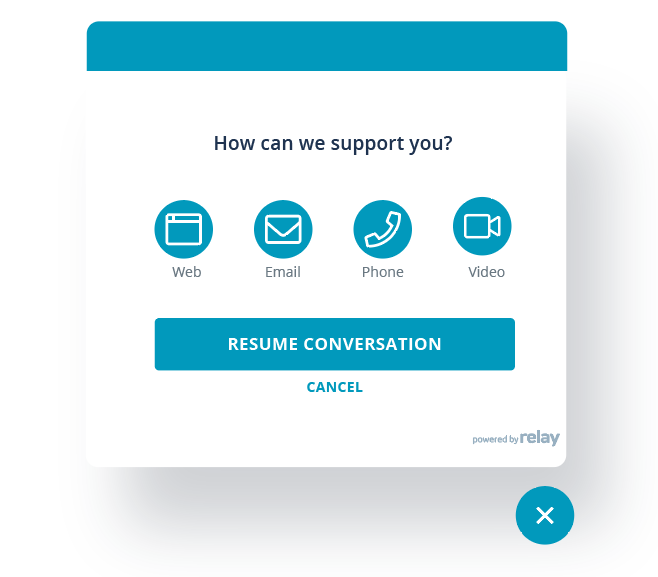 As we reviewed the data, we found that almost every Relay team is using buttons to help guide conversations with their customers. We updated the look and feel of the buttons to make them more inviting. When a customer clicks on a button, we added a tracked color to visually capture a breadcrumb trail of the conversation so you and the customer always know which button was clicked along the way. This is very helpful when you open a chat within Relay and can see exactly how a customer was routed to you. This is a new feature that we’re launching in conjunction with the with interface update. The notification bar is a way for you to passively communicate messages with your customers. These messages can be used as alerts, company updates, product updates, product upsells and much more. You can set up an unlimited number of messages and randomly show them to your customers as they come through. Messages can be closed by the customer at any point. Everyone loves customer feedback (or they should 🙂 ). At the end of every conversation, we gently ask the customer to tell us how their support experience was. 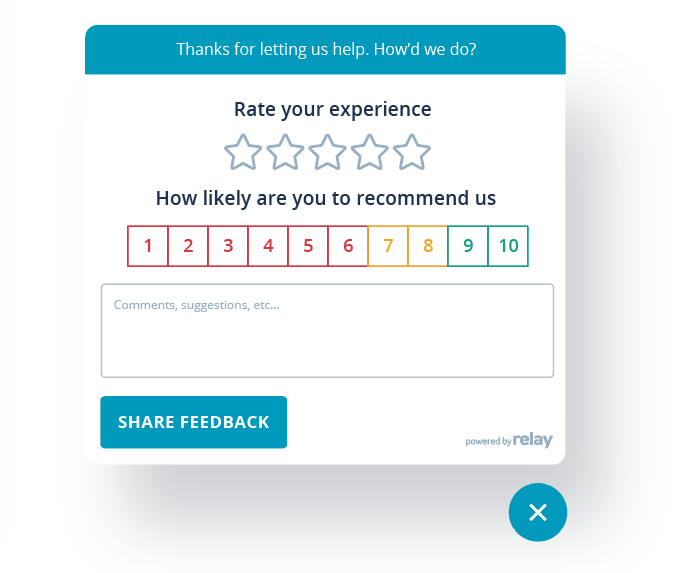 They can rate their experience with 1-5 stars, which gets appended to the agent’s profile and they can also answer the NPS question, which aggregates at the Team and Organization level. When a customer leaves a conversation, they return to the chat widget home screen. If the conversation is active, they can resume the conversation or cancel it and start a new one. Your customers will also be presented with alternative support channels if they choose to switch to a new communication type. You have full control over which channels you display on this screen. 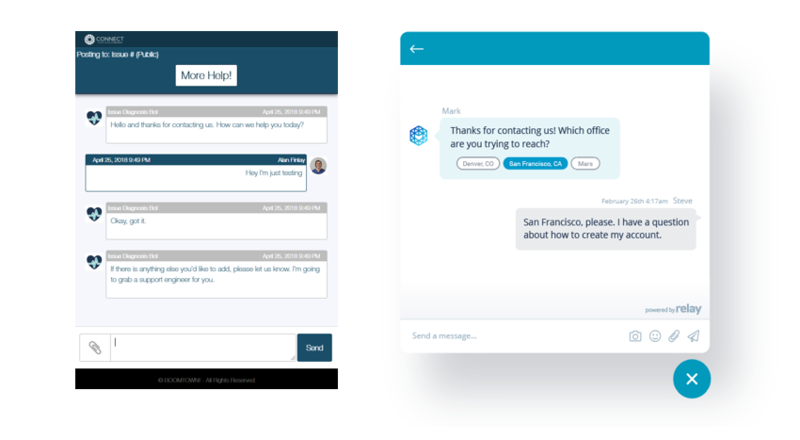 Looking back it’s clear to see that this relay web chat design update was necessary and couldn’t come soon enough. I’m excited to get this out in the field and I hope you enjoy it! 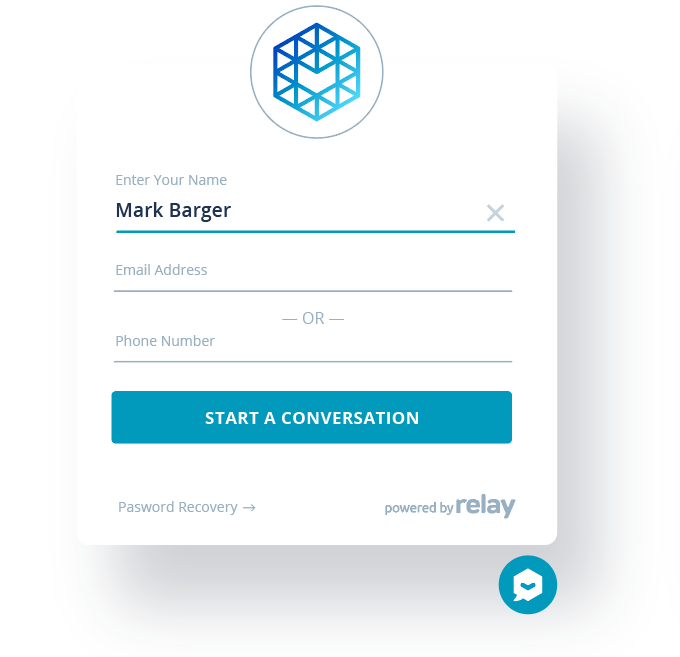 Not Using Relay Web Chat Yet? 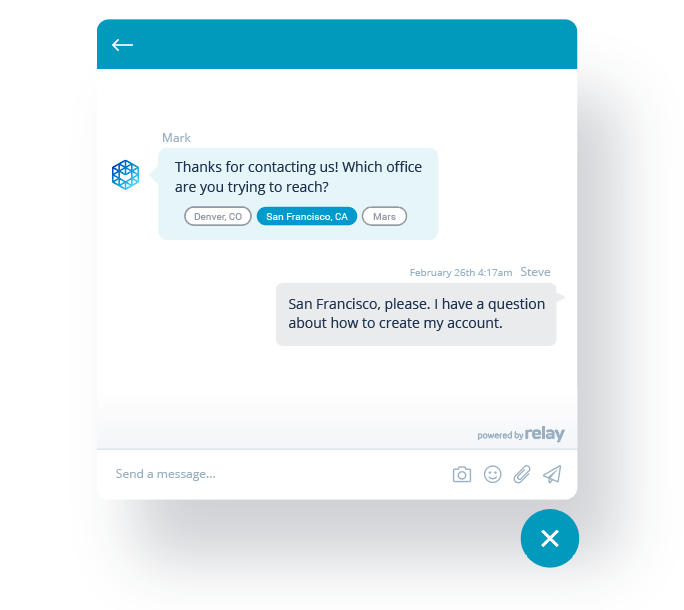 I would love to give you a demo to show you how powerful our chat is when combined with our native chatbots. Schedule a demo and we’ll help you transform your support operations.